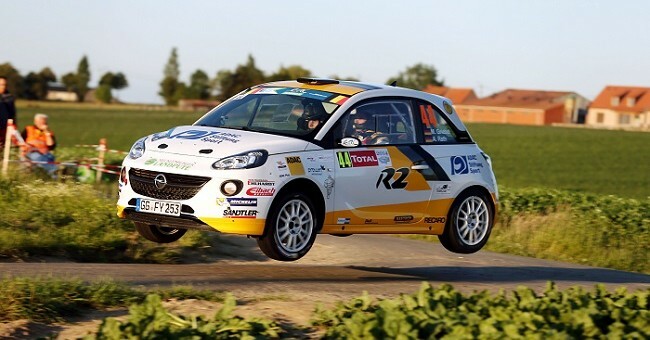 Opel today is highlighting the successes achieved by its Adam R2 rally car since it was first homologated for use on the FIA European Rally Championship seven months ago. The nimble, 190 horsepower Adam R2 has so far racked up 12 class wins over 15 starts in national championship rounds in Germany, Spain, France and Austria. In Spain, Esteban Vallin and co-driver Borja Odriozola are currently leading the R2 class in an Adam R2, while Yoann Bonato and Thierry Michaud in an Opel Motorsport Team France Adam are also at the top of the rankings in France. Daniel Wollinger and Bernhard Holzer have also experienced success in the Austrian Rallye Championship, managing two class victories in the last two rounds. Meanwhile in the Netherlands, Dutchman Timo van der Marel secured a class win in the series’ debut event. German-Luxembourgian duo Julius Tannert and Jennifer Thielen are one of the leading teams in the ADAC Opel Rallye Cup and finished a strong second in the Rallye Luxembourg earlier this month. The Adam R2 almost saw even more success on the GEKP Ypres Rallye in Belgium on June 20-21, with Marijan Griebel and co-driver Alexander Rath battling for a third-place finish before their chances were ruined by drivetrain trouble at the beginning of the final stage. Also in an Adam R2 at the event was Former European champion Bruno Thiry, whose chacnes were ruined when he hit a rock and had to retire. Fabian Kreim and Josefine Beinke were also almost forced to retire in their Adam, but managed to finish ninth after stopping to change a wheel.